Changing the World: Waste No Food To Hit One Million Meals Delivered! Home Dev Insights Changing the World: Waste No Food To Hit One Million Meals Delivered! Six months ago, we introduced the inspiring story of Waste No Food, a Silicon Valley non-profit that’s using mobile to connect people and businesses that have excess food with those in need of meals. With Thanksgiving right around the corner for those of us in the U.S., we thought it fitting to share an update on the tremendous momentum WNF has seen since, as it approaches one million meals delivered. More than 50 million people in the U.S. are affected by hunger. In fact, one in six Californians struggle to find food and in 2014, 204 million meals (mealtimes when children, families or seniors went hungry) were missed in Santa Clara and San Mateo Counties alone. Despite the Bay Area’s massive wealth, hunger persists, and WNF’s teenage founder Kiran Sridhar saw an untapped opportunity to use technology to find a solution. Leveraging a mobile app developed with the Appcelerator Platform, WNF is transforming the battle against hunger. It has shattered existing barriers between donors and charities, connecting these groups in ways not previously possible and removing the friction of getting excess food to those in need. In our first update in May, WNF had developed strong relationships with a number of Silicon Valley companies and organizations, and it had donated more than 30,000 meals. The momentum since has been nothing short of spectacular. The program is strongest in San Jose, where WNF has partnered with a number of the major downtown hotels. The San Jose Convention Center recently donated 1,000 meals in a single day. Levi’s Stadium, the shiny new home of the San Francisco 49ers, partnered with WNF after the team’s COO saw a demo of the mobile app, recognized the potential for positive impact and immediately wanted to get involved. “We serve around 70,000 fans every 49ers gameday and are thankful for the existence of a program like Waste No Food to help us to deliver our leftover food to those in need. We are excited about this partnership, which leverages smart technology to help us give back to the community,” said Al Guido Chief Operating Officer, San Francisco 49ers. One of WNF’s biggest victories came in early September when WNF co-announced Feeding Silicon Valley, a public and private partnership with local nonprofits and donors to use technology to combat hunger in the area. Joining WNF was the City of San Jose and the Silicon Valley Talent Partnership. San Jose Mayor Sam Liccardo has been a vocal advocate of WNF and its mission. During a speech at the Clinton Global Initiative in late September, Mayor Liccardo pointed to the nonprofit and Feeding Silicon Valley as bellwethers for the amazing work being done in the region to combat hunger and homelessness. But most importantly, all of this momentum has generated real results; WNF expects to serve well over one million meals by the end of 2015. WNF is far from content with its success. It’s currently working on new partnerships with food donors community leaders, city governments and nonprofits to extend its reach beyond Silicon Valley and the Bay Area. For the app, WNF has a slew of announcements on its roadmap—new features like localization and demographics customizations, and it’s constantly evaluating new requests to enhance the user experience. WNF is a stellar example of the power mobile can have to connect people and improve lives. Mobile’s ubiquity means WNF’s initiative has the ability to spread quickly and globally; knocking down barriers to change the world. 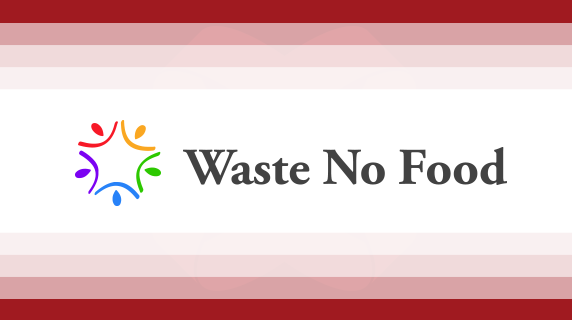 Food donors, nonprofit recipients, and volunteers (food runners/drivers) can sign up on the Waste No Food app on Google Play, iTunes, or online at www.wastenofood.org.